Do you want some online ai file editor? Well, check this list of the best online vector graphics editors to edit ai files. Vector images don’t lose quality when enlarged and weigh little, perfect for the web and to design logos or any other graphic elements in different sizes. If Adobe Photoshop is the reference in photo editing, Illustrator is for vector graphics. And in both cases, there are both detractors and those who consider them great tools. Luckily, times change, and alternatives arise everywhere. Nowadays, for example, you can work with a vectorial image from the browser thanks to the many available options, online editors that open without problems PS, EPS, AI or SVG files. The following recommendations are the best online vector graphics editors to edit ai files, in many cases free. If you can’t install new software on your work computer or need a tool that doesn’t slow down your computer so much, these vector graphics editors will enchant you. 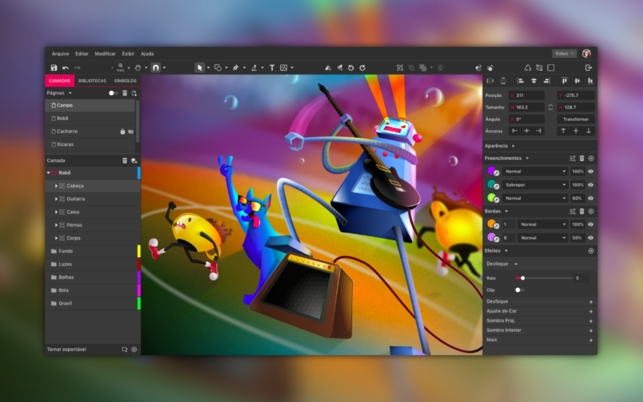 Available in online mode and also as a downloadable app, Vectr is an online vector graphics editing software for all audiences and offers professional results. The tool itself offers tutorials to learn how to manage it. Besides, you have everything you need to create zero vector graphics or open a previous file. You can edit several pages, use layers, etc. Another advantage is that you can share the vector graphic through a link so that your colleagues can see what you are doing in real time, perfect for team projects. 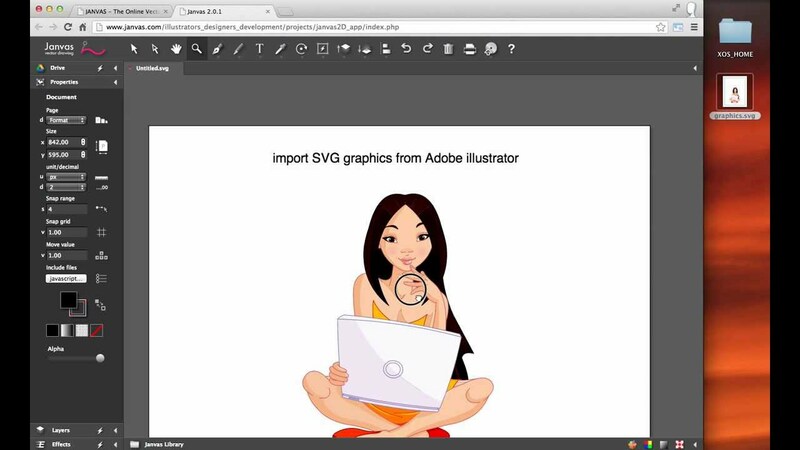 Vectr allows you to export your vector graphics in PNG, JPG and SVG format. 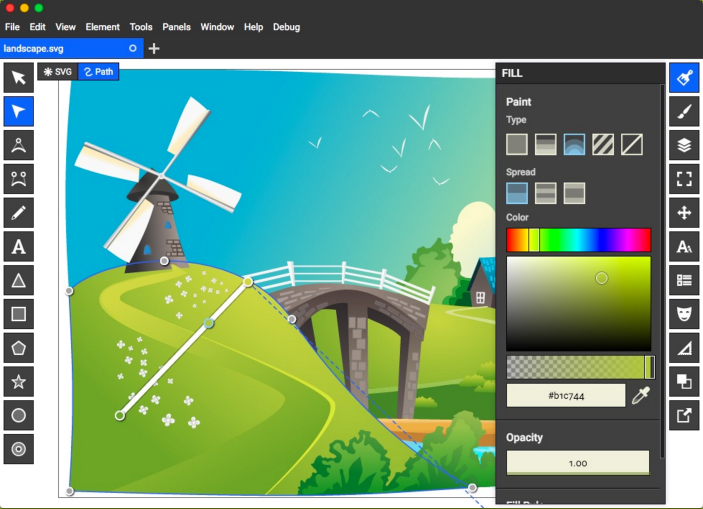 With two different editions, Gravit is also a great online vector graphics editor. Gravit Designer is your professional version for desktop and online, Gravit Klex is for amateurs or newcomers who are looking for good results with little effort. And with Gravit Cloud, you can work directly online with one of the two and create vector graphics from any modern browser. 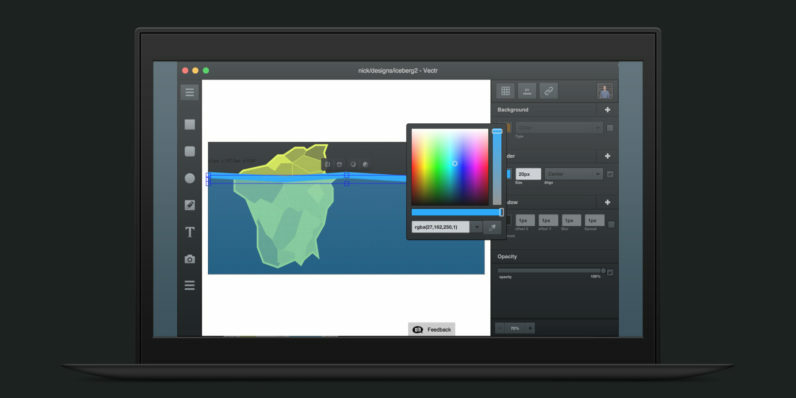 Gravit Cloud let you register for free to start designing vector images available functions or import images. In both cases, you will have your resources such as templates, images, and elements to not start from scratch, all configurable from the tool itself. Vecteezy is a vector content portal to download and use in your creations. Designs, logos, patterns, vector images of payment. The amount of material is vast and of high quality. Its makers have also recently launched Vecteezy Editor, their online tool with which to create and edit vector drawing in your browser. Vecteezy Editor allows you to move with pre-designed figures or create graphics from scratch, include text and apply any action intuitively (create backgrounds or patterns, add personalized texts) as it is designed for all audiences. Besides, it has its templates organized according to the purpose of your vector graphic. To use it you will need Google Chrome or compatible, such as Chromium or Opera. Janvas is another excellent example that an online tool has little to envy to a desktop program. Like Boxy SVG, Janvas works as an app for Chrome, so you’ll need this browser to use it. In YouiDraw you will find three different apps for vector drawing, logo creation and another for artistic drawing. In all three cases, you can work with vector images, according to your purpose. After registering, you can work alternatively with the three web applications. Besides, they integrate with Google Drive and Dropbox to export and import material, although they offer their predesigned templates and vectors as well as effects to apply to the entire composition or a separate element. The free version is for personal use and includes a watermark and exports to PNG and JPG. The paid versions, for commercial and professional use, have no watermark and also allow export to SVG and PDF. 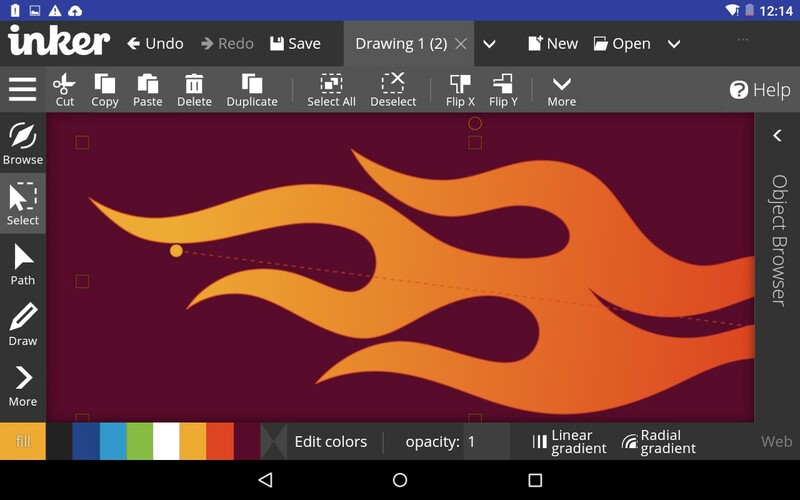 Inker is an online vector graphics editor to edit ai files for Chrome and Android, and it moves between the professional and the domestic so that anyone can manage it in a few minutes. 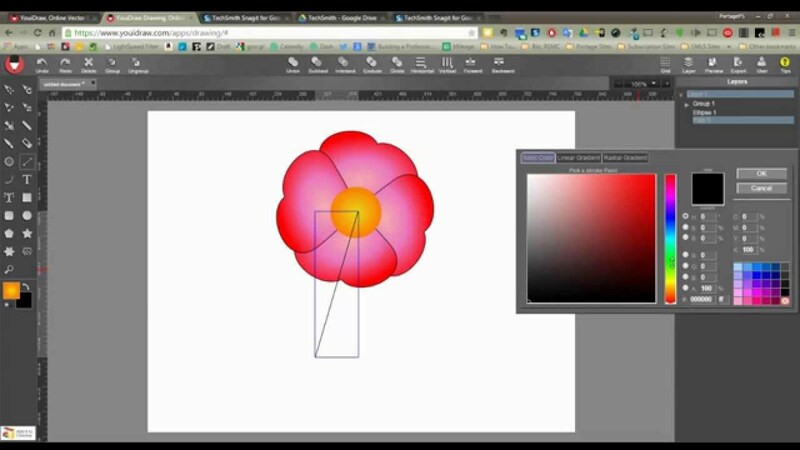 Inker allows you to draw freehand or use geometric figures, alter them at will and apply colors and effects. Of course, it has layers, and it will enable you to open already created files and export our work. Its only drawback is that it is only compatible with the INK format, although we can convert it at any time afterward. 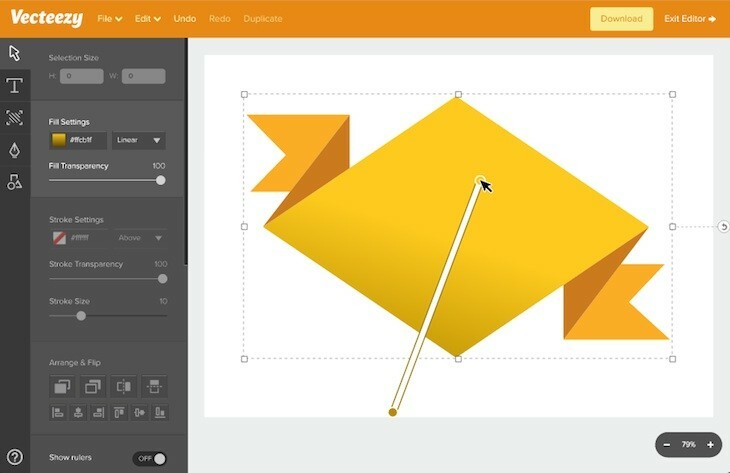 Available as an app for Chrome in online mode and as an app for Windows 10 or macOS, Boxy SVG Editor lives up to its name, an online vector graphics editor for SVG files. Starting from a blank canvas or with your images, the Boxy SVG Editor’s palette of functions will help you create professional designs combining shapes, shapes, colors, and patterns. Another of its attractions is the integration of Google Fonts for texts and the Open Clip Art library with vectors for free and free use. Boxy SVG Editor allows you to export the result to SVG but also PNG, JPEG, WebP and PDF in the version for Windows and macOS. So far those were the best online vector graphics editors to edit ai files that you can use from your browser without needing to download heavy software on your computer. Do you know another tool? Let me know in the comments section to add it to the list.